The Urbandale Community School District has adopted a policy designed to assure parents and students the full implementation, protection, and enjoyment of their rights under the Family Educational Rights and Privacy Act of 1974. A copy of the District’s policy is available for review in the office of the Board Secretary, the Superintendent, and of the principals of all of our schools. This law requires the District to designate as “directory information” any personally identifiable information taken from a student’s educational records which it will make available to the public without the parents’ or students’ prior consent. The District has designated the following information as directory information: student’s name, address and telephone number; the parents’ names, addresses, email addresses, and telephone numbers; date and place of birth; enrollment status; age, grade level and fields of study; participation in officially recognized activities and sports; weight and height of members of athletic teams; dates of attendance and building attended in the District; degrees, honors and awards received; the most recent educational institution attended by the student; photographs and other likenesses and other similar information. You have the right to refuse the designation of any or all of the categories of personally identifiable information as directory information with respect to your student provided that you notify the principal in writing not later than the start of the school year (or within 10 days of enrolling in the District if a student enters after the start of the school year). You also have a right to request that the District not release the student’s name, address and telephone number to military recruiters and/or post-secondary institutions. If you desire to make such a refusal, please complete and return the slip attached to this notice. If you have no objection to the use of student directory information, you do not need to take any action. 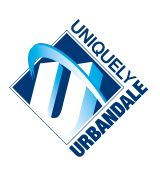 Urbandale Community School District Parental Directions to Withhold Student Directory Information for _______ – _______ school year. Additional forms are available at school.